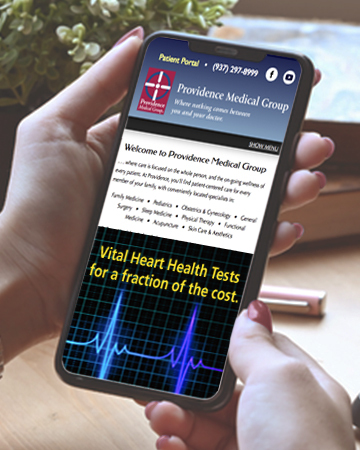 Vital heart health tests for a fraction of the cost. In most cases, insurance only covers a portion of the cost of cardiovascular testing. And the amount area hospitals make you pay for the balance can be significant. But as a Providence patient, you can have the very same tests performed for far less cost to you. 2912 Springboro West, Suite 201, Dayton (937) 396-8137 Map and directions. Your family doctor can make an appointment for you — call your doctor, or one of the PMG Vascular Imaging locations above. *Based on costs at six regional hospitals; February 2018. Baseline Anthem Blue Cross/Blue Shield health insurance plan cost assumes annual deductible not met. Costs will vary by plan. Check with your insurance carrier.